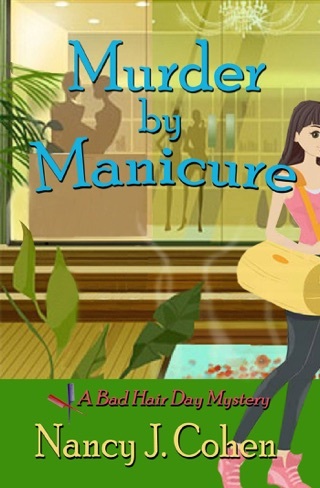 Once again, salon owner Marla Vail must summon her sleuthing skills to track a murderer amid clues that hit close to home. 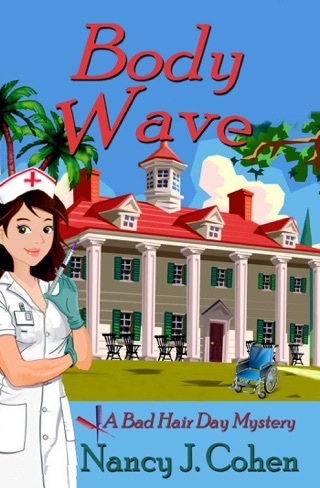 Despite being busy with baby care, work at the salon, and her own family, she’s determined to find the person responsible for putting her friend in the hospital. She doesn’t anticipate the life-altering changes that result from her actions. Another bad hair day mystery for Marla! 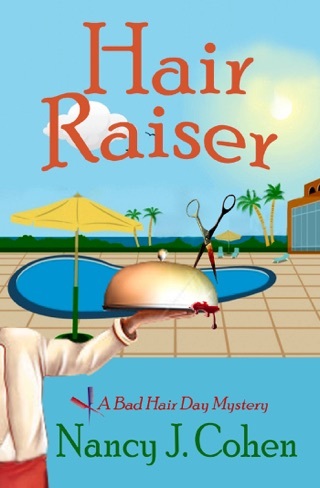 Hair Brained is the 14th entry in Nancy J. Cohen’s Bad Hair Day Mystery series. I saw another review that said this is the best yet – and without a doubt that is true. These books just keep getting better and better: well-developed characters in believable relationships, enough quirkiness to make you chuckle (when Marla thinks, “Holy highlights! 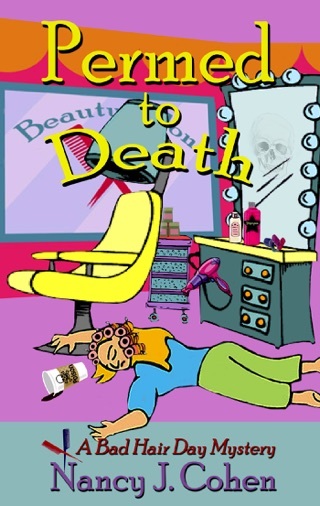 ), and fast-paced mysteries that will keep you turning pages, worrying about Marla, and guessing until the very end. Each book can be read as a standalone and has enough background and detail that you’ll feel you know the characters and the surroundings. But do yourself a favor and read them all from the beginning. So much has happened to Marla – her life, her family, her relationships, her business, and most of all her personal growth – that you don’t want to miss a minute of it. In the first book Marla is someone you meet who you think could be a good friend, and by #14 you’ve gone through so much with her that you truly care. Either way, read them all or not, read Hair Brained now. Marla’s good friend Tally has been growing distant lately. Marla doesn’t know if it’s because there is trouble between Tally and her husband Ken, or because she’s a new mom and Baby Luke needs all her attention, or something else that Marla can’t even guess at. But Marla misses Tally and wishes they were close again. 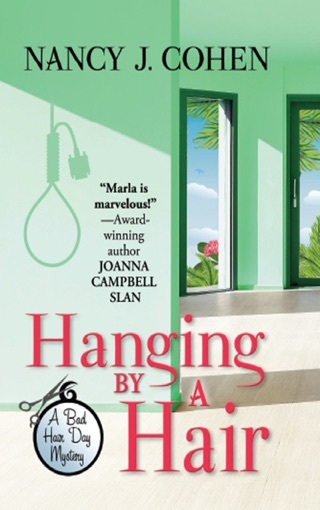 As the story opens, Marla and her police-detective husband Dalton are having a small New Year’s Day party when they get a call from Tally’s babysitter, Mrs. Phelps. Ken and Tally went out the previous evening and haven’t returned. You have an immediate sense of dread about where they could possibly be. Tally would never be gone from Luke for such a long time. Marla and Dalton head over to pick up Luke, and Dalton soon learns there has been a serious car accident and Tally is in the hospital. Marla assumes guardianship of Luke and sets out to learn just what happened. Marla is a good detective. Sometimes it feels more like Dalton is helping Marla than the other way around. Her antenna is up early this time, and it’s a good thing because there are people who will stop at nothing to keep secrets. Marla doesn’t know anything about the people currently in Tally and Ken’s lives and doesn’t know who to believe and trust. Is Mrs. Phelps the babysitter what she seems? And then there’s Phil, Ken’s brother who just doesn’t seem right. Is that because Tally has spoken disparagingly of him in the past, or because something is really going on with him? Was the car accident a real accident or not? Were Ken or Tally targets? Could Luke, and now Marla, be in danger? As soon as Marla starts investigating the answer is yes, she is now in danger. But she is determined and loyal and won’t stop looking until she gets to the bottom of things. Nancy J. Cohen has outdone herself this time. Marla experiences the perfect mix of concern for herself and her business and how she will integrate caring for an infant into that, with genuine fear and worry for Tally and Ken and an overwhelming desire to take the best care of Luke she can. If you’ve been with Marla from the beginning you know there are old issues with her and having children, and why she takes caring for Luke so seriously. Cohen gets it just right with Marla – she can still be impatient but is no longer selfish or fearful of letting go and living her life. 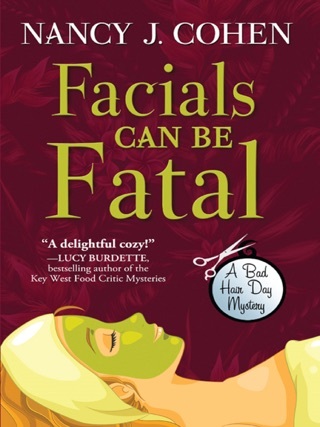 There’s possible insurance fraud, a very interesting group of ladies in a tea group Tally joined, and the usual cast of fascinating supporting characters. Dalton’s daughter Brianna and the rest of Marla and Dalton’s families pitch in to take care of Luke, and support Marla as she looks for the truth. And Florida – it’s almost like another character, the descriptions are so vivid and real. Note: I received a complimentary copy of this book from the author, but it has not affected the content of my review in any way. 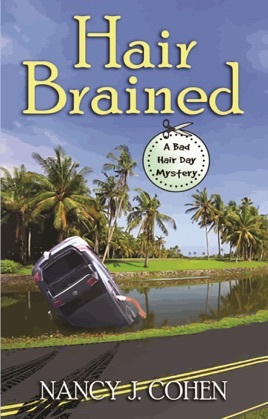 I thoroughly enjoyed this book, love this series, and highly recommend you read Hair Brained. Hair stylist Marla Vail receives some very bad news...their friends, Tally and husband, Ken, have been involved in a serious car crash that the police ultimately determine was not an accident . This sends Marla on a path that will ultimately change her life in ways she cannot imagine. As Dalton and Marla oversee their friends' personal and business affairs, they become involved in an investigation that has many suspects and motives, but nothing that seems solid. 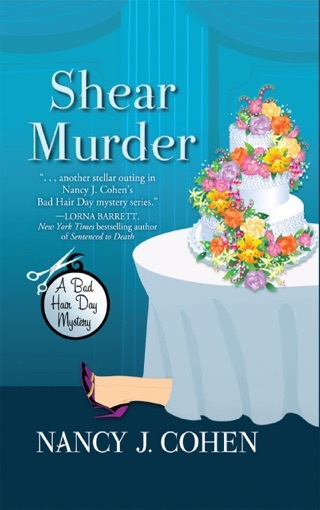 From Ken's real estate business to Tally's boutique to the ladies' tea parties that Tally attended...everything seems suspicious as secrets are uncovered that Tally, her supposedly best friend, never shared with Marla . And of course, Marla is also trying to cope with taking care of Tally's baby, Luke...when she herself has been trying to avoid motherhood entirely. The story moved at a nice pace and had enough clues and suspects to keep the reader guessing until the final surprise reveal. I enjoyed the relationship between Marla and Dalton, as well as her interaction with her staff, and of course, Luke. I look forward to reading the next book in this series. Disclosure: I am voluntarily reviewing an ARC of this book.